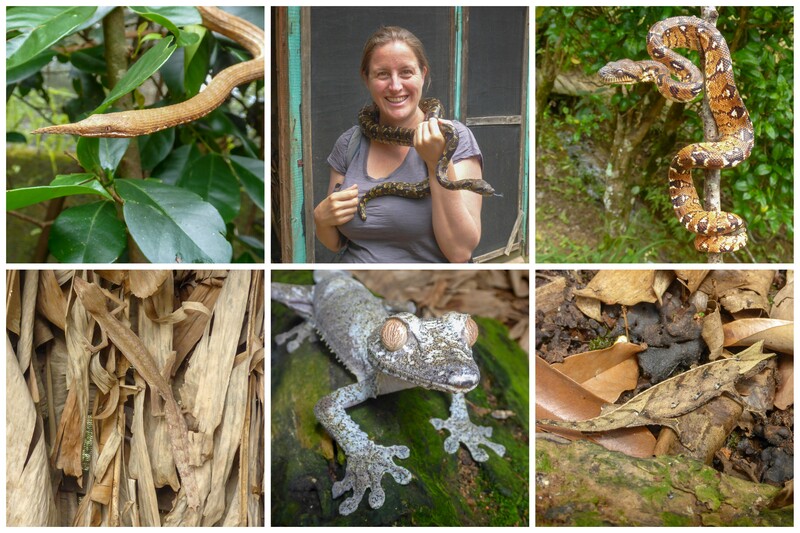 Welcome to the wonderful world of Madagascar, where nothing is poisonous and almost everything is different than anything you’ve ever seen before. I’m currently traveling in a way that I’ve never done before. Due to limited time and the rainy season, I hired a car and driver to take me around the island. I’m covering a lot of miles, but I am also getting to see a lot of beautiful creatures. It’s expensive and a little bit strange to not be stuck in the back of overcrowded mini vans, but I needed a change in my travel routine. As you might guess, this post is going to have way too many photos, because I did a terrible job trying to figure out what not to share. This place just has tons and tons of awesome reptiles. I’ve forgotten most of their names, but they’re awesome and these are just a few of the many, many, many creatures there. The coolest thing about chameleons are their tongues that can extend up to twice the length of their bodies. 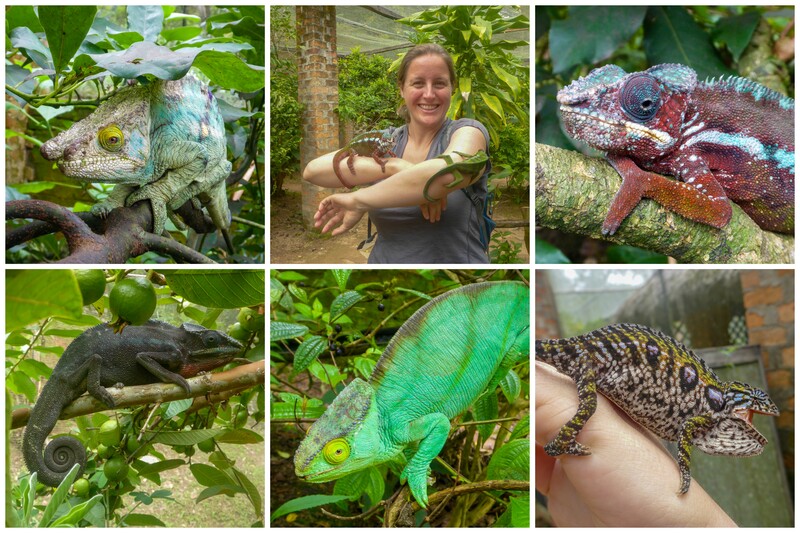 The same day, I walked through the rainforest in the night to see even more chameleons! They’re easier to spot at night because their eyes show up with a flashlight. I also managed to catch a shot of the elusive mouse lemur. This nocturnal animal is the smallest of all the lemurs and moves super quickly. There were more hikes the following day and a visit to a Lemur Island, where lemurs that were formerly kept as pets are currently living out the rest of their days. 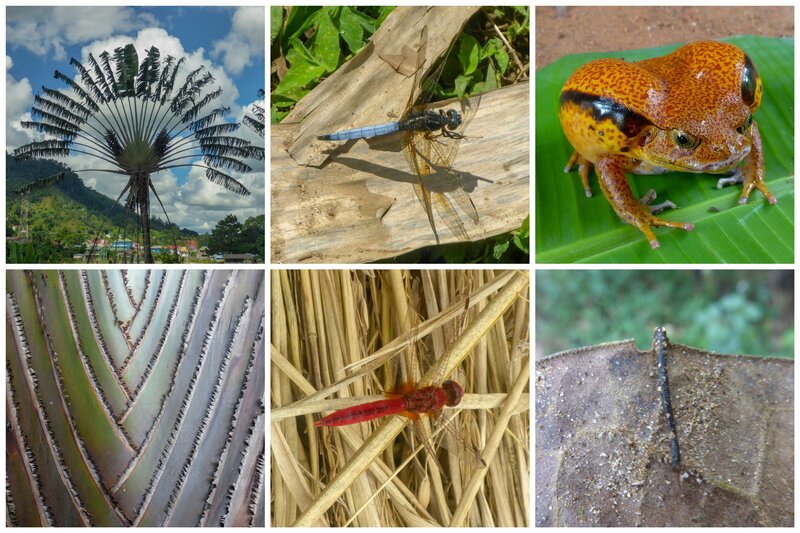 The landscape in Madagascar is ever changing. When it’s not raining, there are so many different shades of green and the sky lights up with a blue we never see in San Francisco. Moving down National Road 7, I stopped in the middle of the rainforest. 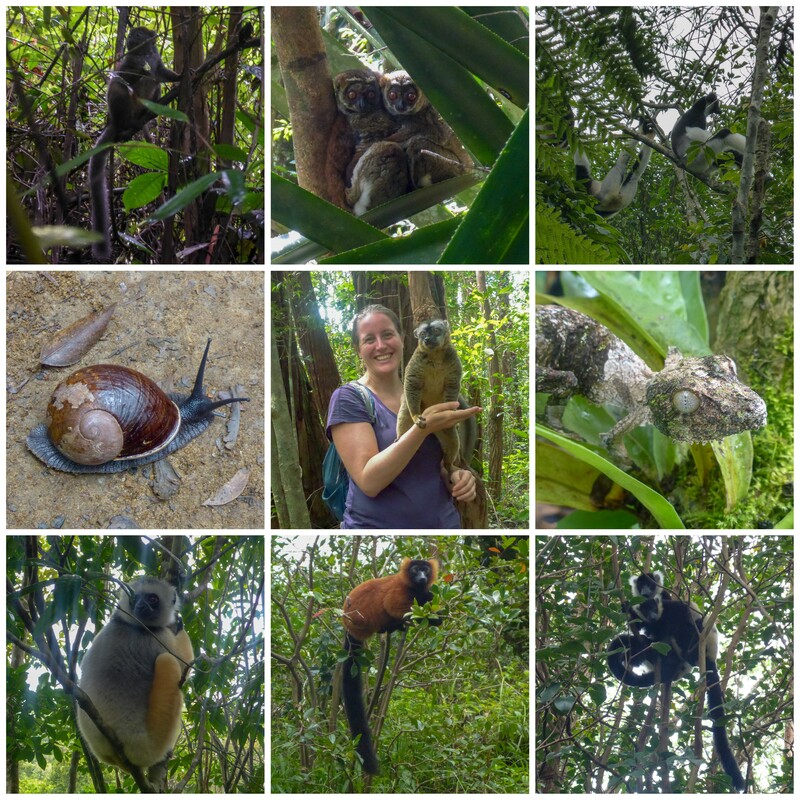 Most people come here to see lemurs and I definitely saw a few new species. 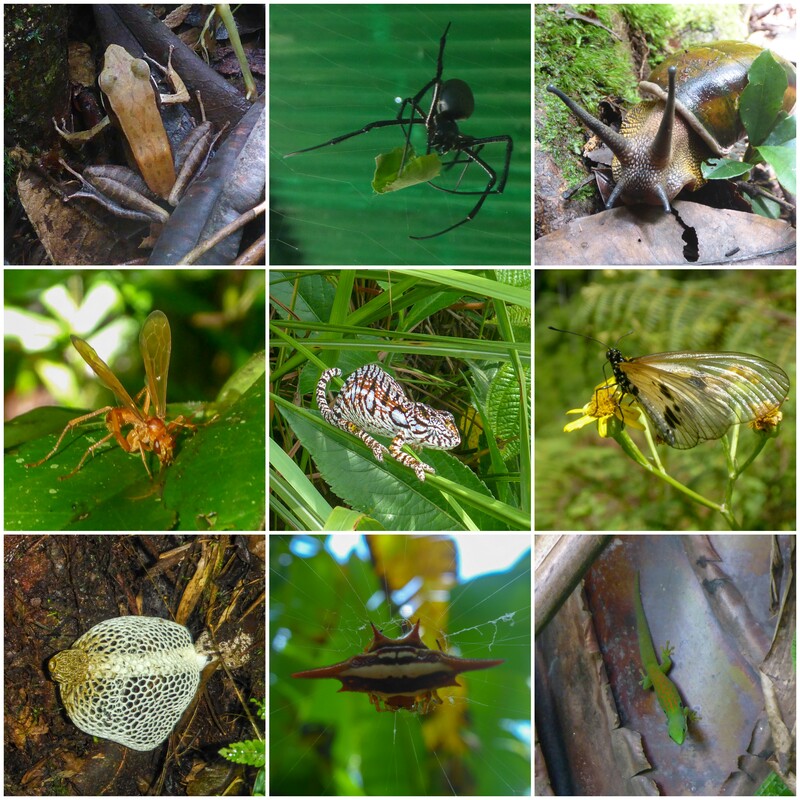 However, I was also absolutely entranced by all the other magnificent life we found in the forest. Because of their isolation, islands are factories for special animals and plants. After so many years away from their relatives, they turn into their own species with their own unique looks and behaviors. It is such an amazing feeling to take a casual walk and bump into things I’ve never seen before all the time. Ravenela is just a completely unique and crazy looking plant. It’s apparently related to banana trees but is called the traveler’s tree because it can provide anything a traveler needs. A traveler can make a house and everything they need to go inside it from the plant. Even water can be gotten from inside the stem. This is one of the national symbols of Madagascar! I do want to point out the last photo on the bottom right. That’s a leech. When I first heard about Madagascar years ago, people told me that the rainforest was beautiful but that there were leeches everywhere. It made me extremely nervous to visit, even though I’ve wanted to see lemurs for years. A while back I visited my sister when she was living in Thailand and after a day of whitewater rafting, I looked down to see one of my toes was bleeding. There were some clear marks on my toe where a leech had attached itself, but it didn’t hurt at all. Leeches may look really strange, but they don’t hurt at all. From that experience, I decided that leeches are way less annoying than mosquitoes. Ranomafana was the only place I’ve seen them so far. Our group stopped quite a few times to remove them from our clothing and our shoes. However, I walked for six hours and not a single one actually got any blood. Vegetarian food is a bit hard to come by since almost everything is zebu (beef) or pork based. 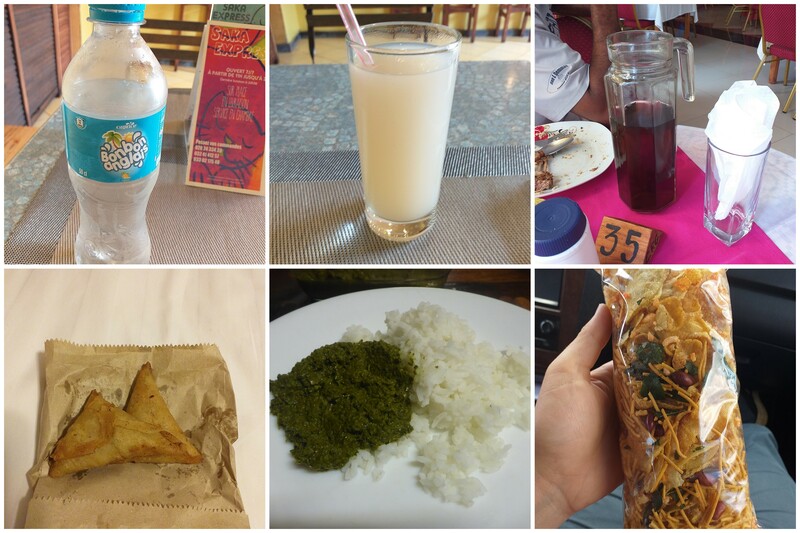 There’s a lot of rice and Western dishes served in hotels, but vegetarian Malagasy food is rare. The one dish I have had is ravitoto which is ground up cassava leaves (it’s usually served with meat). I also drank ranuapangu, water boiled with the burnt rice at the bottom of the pan which tastes exactly as you’d expect it to. The special soda here in Madagascar is called Bonbon Anglais and it tastes really similar to Inka Cola in Peru.